To create a Figure select desired columns (one for X and one or more for Y) in Table and select Create Figure item in context menu. You also can use Create Figure button on the main toolbar. A new Figure will be created and data selection dialog will be opened. 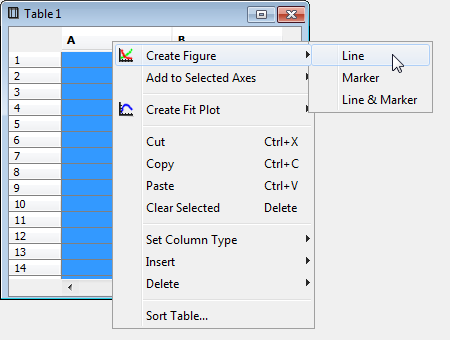 Check the columns for plotting in the right list and specify which column must be treated as X. 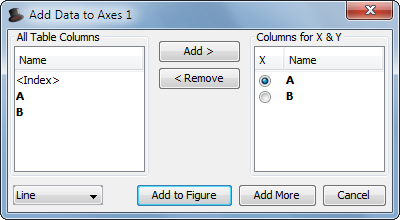 The rest columns will be used as Y values. So you can add multiple curves with different Y and the same X column.